We want to make this year’s installment of our annual WREKtacular concert the best it can possibly be, but we need your help! You can make a tax-deductible donation by using the button below. The former directors of future game of the year winning game WREK STRANDING stopped by to run the show. 24 Hours of (Extra) Diverse Programming! As part of our 50th anniversary celebration, we are airing a full 24 hours of extra diverse programming. 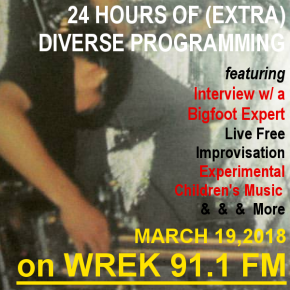 Starting today at 12 AM, we will showcase just how diverse WREK is with a series of conceptual music blocks, live performances, and interviews! So tune in throughout the day to hear what our hosts have been cooking up. 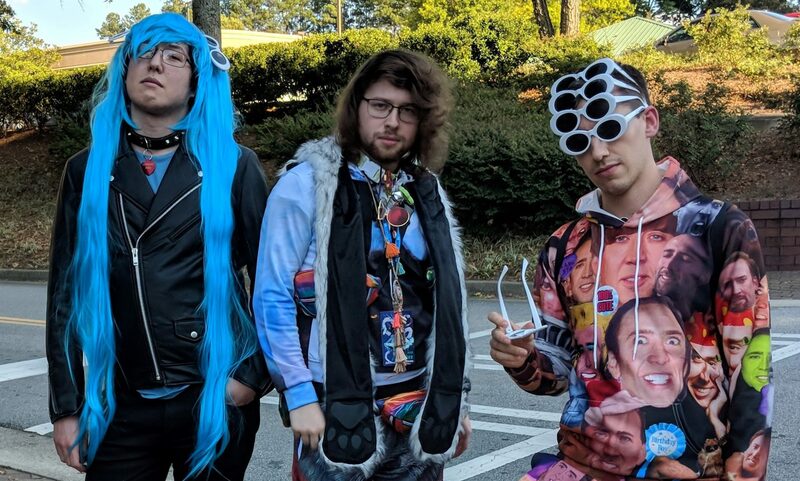 Monday, March 19, 2018 | Posted in Events | Comments Off on 24 Hours of (Extra) Diverse Programming! Come celebrate 50 years of WREK Radio with us at WREKtacular 2018! 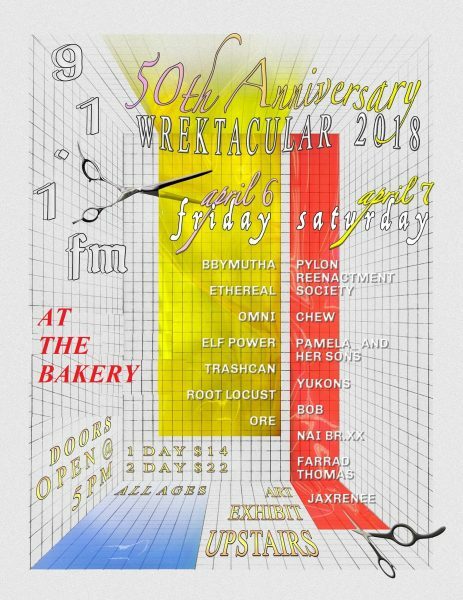 This two-day music and art festival is on April 6th and 7th at The Bakery. We’ll be featuring both music and visual art.